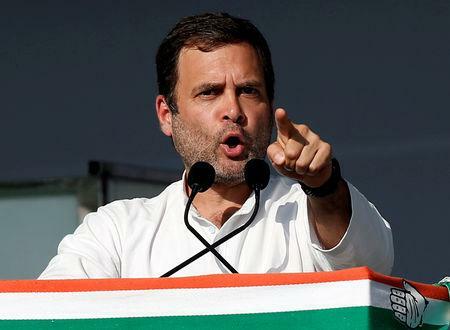 NEW DELHI (Reuters) - The main opposition Congress party will give 72,000 rupees ($1,045) to each of India's poorest families every year if voted back to power, its chief said on Monday, launching what he called a "final assault on poverty". "We've done all the calculations, we've asked the best economists," Gandhi said, emphasizing that the scheme would be fiscally prudent. "They all backed us on this idea. We are going to implement it." Modi's ruling Bharatiya Janata Party (BJP) dismissed Gandhi's announcement as a poll gimmick lacking details. "What will happen to subsidies? What will happen to other expenditure? Nothing is out there," said BJP spokesman Gopal Krishna Agarwal. "Without homework, it's just a political statement." The party would look to roll out the program nationwide within two years, and target paying the amount into the account of the family's senior woman member, he added. 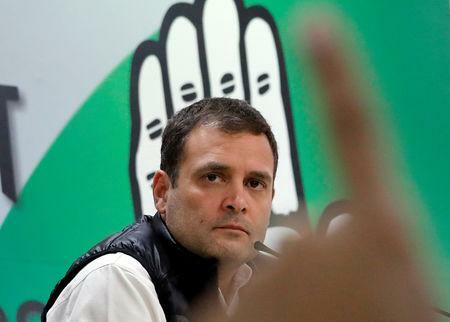 "Voters are now well aware that in the run-up to elections, there would be lot of things and schemes announced," said Rahul Verma, a fellow at think-tank Centre for Policy Research in New Delhi. "I don't think this will do anything for the Congress." Instead, Verma said the Modi government's recently announced direct cash support of 6,000 rupees a year for 120 million poor farmers, which has already got off the ground, could help woo voters. "When you see something tangible in your hand or in your account, that's a different ball game all together." 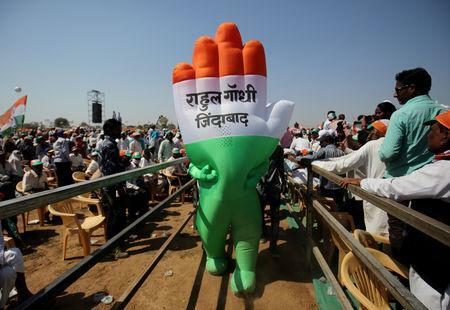 Of 543 parliamentary seats up for grabs, Modi's alliance could win 241, versus 141 to the Congress-led opposition alliance, a survey released this month by the CVoter polling agency showed.